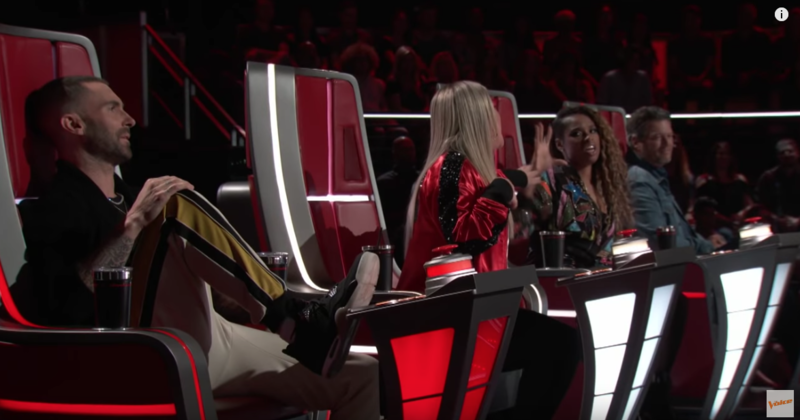 In a recent post here, I confessed my guilty pleasure: watching NBC’s hit reality singing competition, ‘The Voice.’ But I also acknowledged my frustration over the format: too much inconsequential fluff that’s got nothing to do with singing. For one thing, there’s the vapid bantering between the coaches and the inevitable and insincere implication that every pairing of performers compels a decision as agonizing as Sophie’s Choice. And then there’s the over-dramatization of many contestants’ personal stories that can feel a bit cringy when the judges purport to empathize with issues around, among other things, body image, bullying, sexual orientation, and loss. (In fact, watch for a future blog post about the importance of authenticity). These personal subplots help explain why, as I previously pointed out, the most exceptional voice rarely wins ‘The Voice.’ And in all of this is a lesson about jury trials. Who wins ‘The Voice’ depends on who decides who wins ‘The Voice.’ Succeeding in the early rounds depends upon winning over elites – judges who are experts in vocal performance. One would expect qualities like timbre, tone, pitch, range, resonance, phrasing, articulation, dynamics, as well as good taste, among others, to feature prominently in an assessment of the best voice by the music judges. By contrast, audience members are far less likely to be capable of similar discernment. While the public can authoritatively say what it likes, it is not sufficiently trained or experienced to identify the superlative voice the program promises. Yet, to win on ‘The Voice,’ a contestant must ultimately win over the less discerning voting public and not the elite judges. What it takes to succeed with subject matter experts is quite different from what it takes to win over an essentially unsophisticated TV audience. In fact, their very unsuitability for discerning technical vocal quality with sufficient granularity to distinguish among a field of talented singers may explain why audience members likely consider a broader (and more accessible) range of criteria, such as the performers’ feel-good back stories. Perhaps, in that sense, ‘The Voice’ imitates life, where it is as important to be lucky, and liked, as it is to be superlative. Just as a contestant on ‘The Voice’ must manage the transition from being judged by experts (musical superstars) to being judged by lay people (the viewing public), so too must the trial lawyer. Most of us have spent an overwhelmingly disproportionate share of our professional time and energy persuading the minds of other well-trained, elite legal professionals – in-house lawyers, opposing counsel, and, at the top of that heap, judges. We know precisely how to talk to them because we speak the same language. A matter is initiated. It is investigated, evaluated. Clients are advised. Responses are prepared; strategies for winning conceived. The ammunition needed is gathered as interrogatories, document requests, depositions, and admissions are pursued. These are the things we have been taught in school and by experience, over the broad arc of each of our careers. And because they embody a common approach to everything that precedes either summary judgment or settlement, dismissal, declination or guilty plea, it’s no wonder we know exactly how to talk to other legal elites. It’s virtually all we do. And we strive to keep it that way, contorting at times into impossibly narrow constructions to avoid acknowledging the existence of genuine disputes as to material facts. Spending almost all of our time focused on what persuades like-minded experts, we do not, as reflexively, think about what might persuade anyone else. But when summary judgment has been denied and settlement is unattainable, we are forced to transition to presenting our own forms of song to the ordinary folk who sit on our juries -- just like the advancing contestants on ‘The Voice.’ The difference is that, for the singers, the transition happens to mark a progression and elevation that signifies an increased chance of winning; regrettably, ours does not. Even more fundamentally, voters for ‘The Voice’ are volunteers whose viewing and voting implies a level of interest in the subject matter that likely exceeds that of our jurors. Finally, the gulf between singing for singers and singing for music-loving audiences is narrower than the gulf between persuading judges and persuading juries. Very few contestants on ‘The Voice’ are casual crooners singing into hairbrushes in the privacy of their bedrooms; most are already pursuing their craft -- in public. In short, they are putting themselves in front of audiences quite like the audiences that will ultimately determine their fate on ‘The Voice.’ And every ‘dues-paying’ performance that precedes their appearance on ‘The Voice’ is practice. Not simply practice, but perfectly tailored practice – or, as Malcolm Gladwell puts it in his pithy “10,000 hour rule,” deliberate practice. To the extent that litigators possess their own form of time-based expertise, as I have alluded to above, it is an expertise in the persuasion of legal elites, and not the persuasion of juries. With dwindling opportunities for getting in front of juries given undeniable trends in our profession, it’s no wonder this transition can be even harder – which, as I’ll focus more on in a future post, is precisely why you should work with us. Constantly in trial with our clients, leverage our experience to rocket the way to your 10,000 hours! In my next series of blog posts, I will discuss the concept of “likeability” and some of the things that trial lawyers can do to effectively make this difficult transition.